Are you looking for an easy Valentine gift for your husband this year? This upcycled DIY bank for guys night fund is the perfect gift for hubs that doesn’t break the bank (haha, get it?). Even better, you can make it without even leaving the house. Score! Between decluttering and fighting over our military pay, the last thing I want to do is run out and buy more stuff for hubs this Valentine’s Day. Of course, I still want to surprise him with a little gift and this upcycled DIY bank for guys night fund is exactly what I need. It uses up leftover packaging. It’s creative and thoughtful and it’s an easy way to say, “I love you”. If you got a bunch of those kits or sets for Christmas last month then you already have what you need to make this super simple craft. 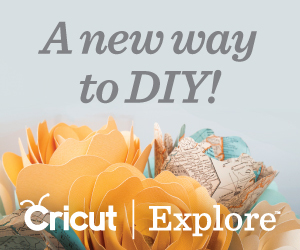 Rescue one from the recycling bin and grab your craft supplies to make this awesome gift today! First, make sure your box is clean and empty. Next, begin painting the box with black acrylic paint. Cover your entire box with paint and then allow the paint to dry. After your paint is dry, wrap your decorative tape around the box to measure the length you need. Keep the paper backing on the tape while measuring. While your decorative tape is still wrapped around your box, trim the amount needed from your tape roll. Once your tape is trimmed, begin attaching it to the front of your box starting at the open edge. Continue attaching your tape until you reach the edge of the view panel. Next, place rolled pieces of blue painters tape around the edges of the view panel. Then place your decorative tape with the paper backing still on over the painters tape. Carefully peel back your decorative tape, keeping the painters tape in place on the paper backing and lifting it from the box. Next, cut out the rectangle between the painters tape. 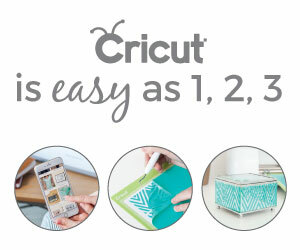 After you have cut out the rectangle, resume attaching your decorative tape to your box. Ensure that your rectangle lines up with the view panel in the box. Continue attaching your decorative tape all the way around your box. Once you reach the edge of your box opening, fold the tape inside the box. Now, measure the uncovered edge of your box on the tape and mark with a pencil. Next, cut out the tape inside of the pencil lines. Attach the cut piece of decorative tape to the edge of your box. Repeat steps 15 through 17 for the remaining uncovered side of your box. After your box is covered, pull out your piece of decorative cardstock. Flip it over and use your box to measure the size you need and mark it with a pencil. Next, use your paper cutter to cut 1/4 inch inside all of your pencil marks. Try sliding your cut out cardstock into your box. If it doesn’t fit, trim the edges more. Once your cardstock fits inside of your box, add adhesive to the back of it with your glue runner. Then attach the cardstock to the inside of your box. Next, cut an opening for the money in the top of your box. I used scissors to make mine but it would have been cleaner with an XActo knife. Now pull out your chipboard letters and lay out the ones you need. Lay out your letters on the box until you have your desired placement. Then attach the letters 1 at a time by lifting them from their place, applying adhesive with your glue runner, and replacing in the spot. Take your gift to the next level by adding some money to the fund before gifting. This upcycled DIY bank for guys night fund is the perfect easy gift to surprise your guy with this year. Even better, you can create the perfect thoughtful gift for him without even leaving the house. Seriously, does it get any better than that?